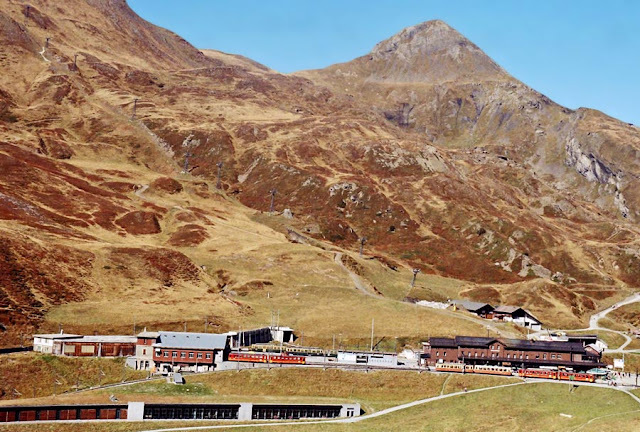 This is the train that took us to the Jung Frau summit, popularly called "Top of Europe" in Switzerland. The small train station is at the foot of the Swiss Alps and the train journey to the Jungfraujoch is through the mountains of the Eiger and Mönch. 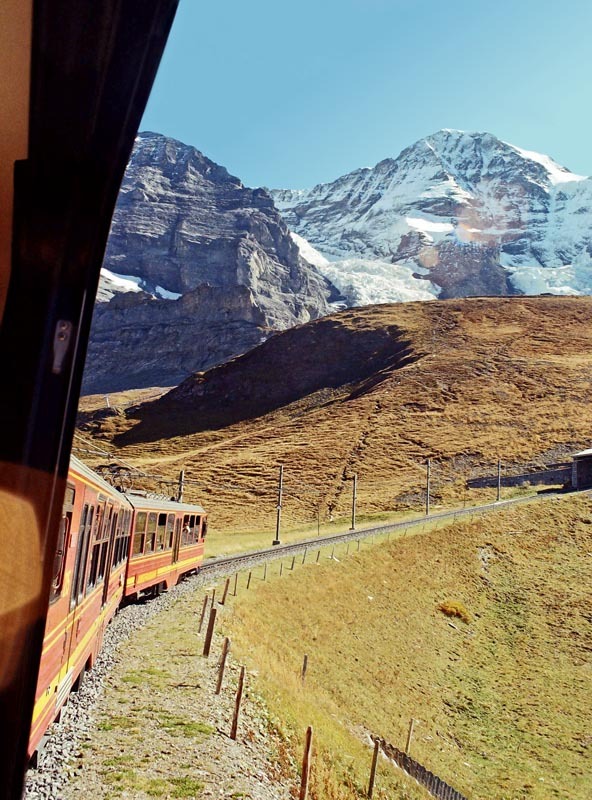 There are two viewing stations on the way from which one can get breathtaking views of the snow-covered Swiss Alps. 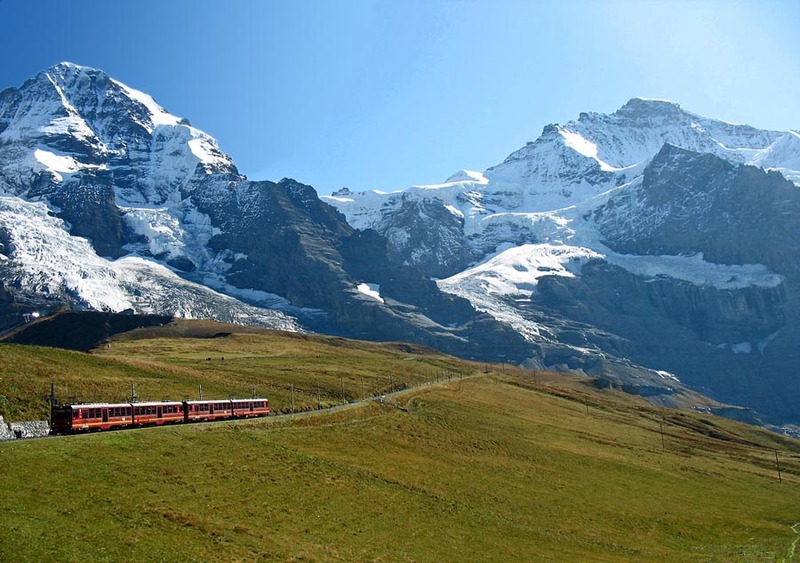 Here is the tiny train winding its way across the grassy knolls towards the intimidating Swiss Alps. A shot taken out of the train window. The train is in the foreground and the snow-covered mountains in the background.